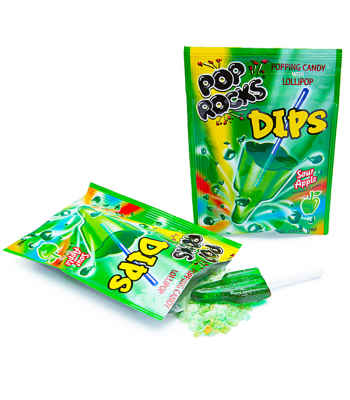 Pop Rocks are the fun and explosive popping candy, an iconic product of the USA which became wildy popular in the 70's. 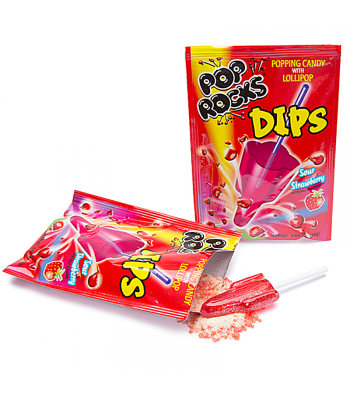 They provide great fun and sizzling entertainment for kids and adult alike. 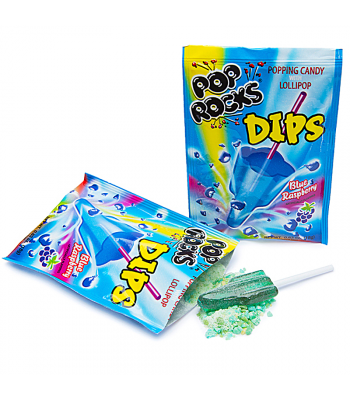 This candy rocks have tiny pockets of carbonation, which crackle and fizzle on your tongue with popping noises you can hear as the CO2 is released. 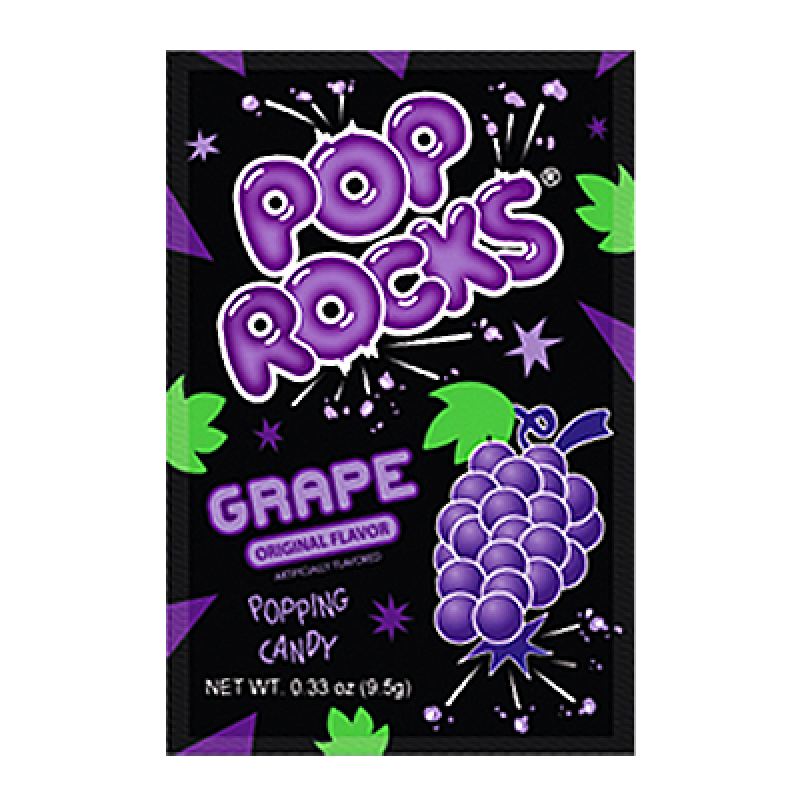 This packet, featuring the original fireworks style, contains a handful of the sweet candy rocks which are sure to make your mouth pop! 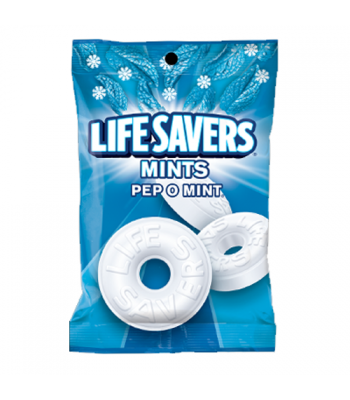 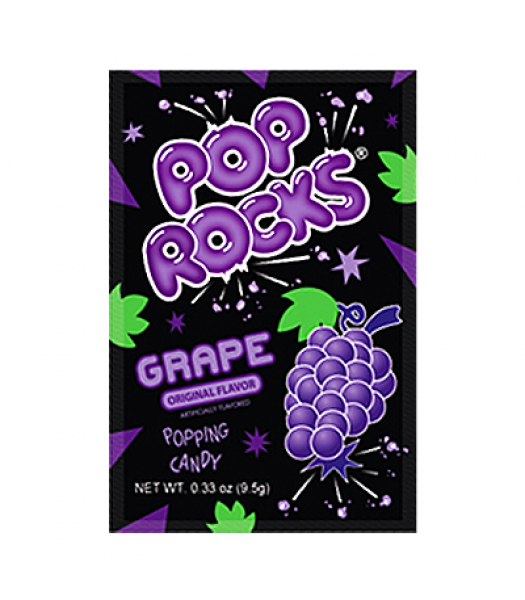 Go on and taste the explosion in this pack of refreshing Grape flavoured Pop Rocks.